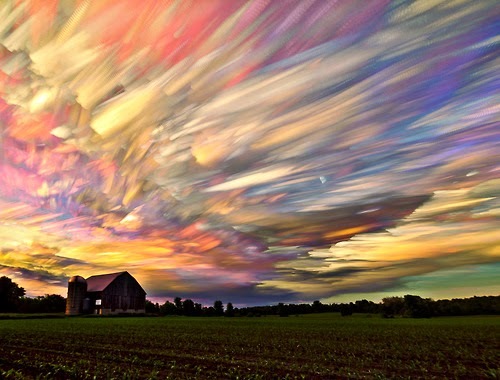 Matt Molloy created this beautiful sunset picture by layering 365 photos together. All the colours of a sunset are in this one picture, except for the really dark red hues. I think this is a brilliant example of what photography should be- creative, innovative, and inspiring. It looks like someone painted the sky in an impressionist way, and I'm just floored at how good it looks. Painting of the Day: "Santa Eulalia"